A necklace makes a great gift for any occasion, whether you choose a style she can slip on to dress up every day outfits, or one that adds extra sparkle for a special event. A necklace is always the perfect fit. Silver necklaces are classic, pretty and perfect for everyday wear. Pure silver is too soft and malleable to be used in jewelry, so it is strengthened with other metals to create a silver alloy known as sterling silver. 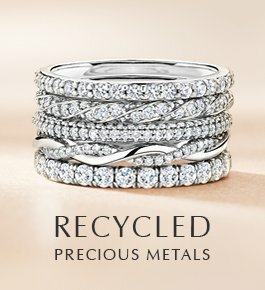 Unlike many jewelers, Brilliant Earth does not use silver that has been alloyed with nickel, because many people experience allergic reactions to it. Instead our silver is allowed with copper and zinc, which are non-allergenic. You can add a little extra sparkle to a silver necklace with a precious gem accent. 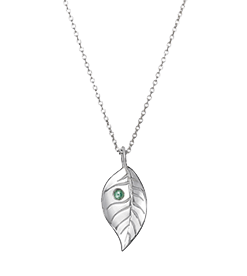 Our Silver Leaf Pendant with Ethically Sourced Green Sapphire and Silver Heart Pendant with Conflict Free Diamond are two of our most sought after silver necklaces. Gold necklaces cast a beautiful warm light and are classic and flattering, and gold is resistant to rust and tarnish so she can wear the necklace all the time if she chooses. Pure gold, or 24 karat, is too malleable for use in jewelry, so it is alloyed with other metals for strength, creating 18 karat gold (which is 75% pure gold) and 14 karat gold (about 60% pure gold). Warm yellow gold is the most classic choice, white gold has a light silvery sheen, and rose gold has a vintage look that feels modern today. The most romantic choice is the Infinity Pendant in yellow or white gold, and the White Gold Fairmined Bar Pendant would be perfect for a woman with chic contemporary style. Platinum is the rarest and strongest metal, and retains its color for a lifetime. The most hypoallergenic of metals, platinum almost never causes skin reactions. Our platinum and gemstone necklaces make timelessly beautiful gifts she’s sure to cherish. A necklace is a wonderful way to display diamonds—whether a dazzling solitaire or a design with many glittering gems. A diamond necklace has the power to instantly transform any outfit into something glamorous. 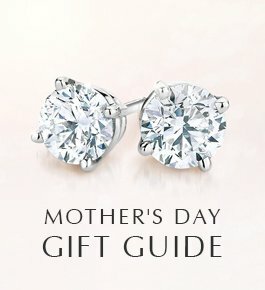 You can create your own diamond necklace, with a specific gemstone, setting and metal of your choice, or choose from our collection of pre-set diamond pendants. 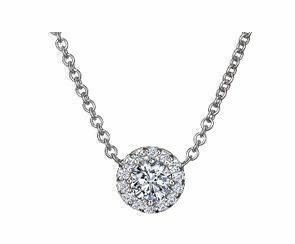 For a more luxe look, consider a Diamond Halo necklace or the more contemporary Pavé Wave pendant. 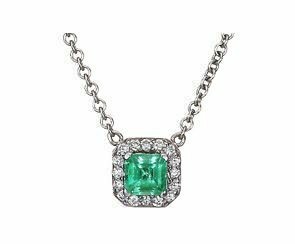 A necklace featuring a colored gemstone in her favorite color or birthstone will always make a perfect gift. 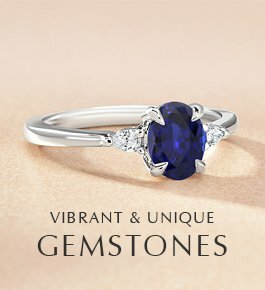 Consider a necklace featuring a single dazzling sapphire, garnet, amethyst or peridot. 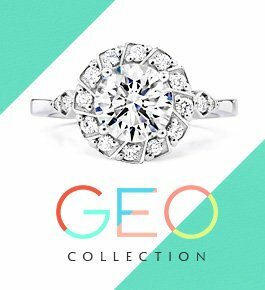 If you want to go a little more luxurious, consider a gemstone encircled by a halo of diamond accents, like the Emerald Halo Diamond Pendant or the Sapphire Halo Diamond Pendant. A lustrous pearl necklace makes a timeless and romantic gift she’ll always cherish. With their subtle iridescence, pearl necklaces coordinate well with any outfit and flatter every skin tone. Our Tahitian Pearl Pendant is a timelessly chic style, and the Sea of Cortez Pearl Pendant has a shimmering diamond accent on the bail.